Despite the extreme convenience of computer-based audio systems, the turntable has not lost it's place in the hearts of many audiophiles. Sometimes that extra effort can be worth it, balancing the plinth, brushing the dust off the record, cleaning the stylus, flipping the record after a few songs, the list goes on. There's just something nice about that analog warmth of that teeny tiny stylus wandering through the grooves of a well pressed record. One of the requirements for owning a turntable is a phono pre-amp. 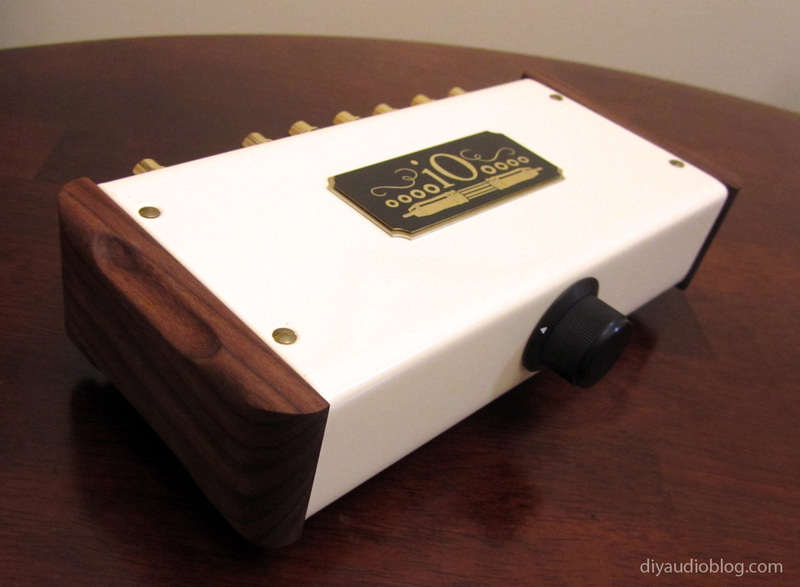 A phono pre-amp brings the low-level signal from the record player up to a point where it can be run to a standard amplifier. Equipment like CD players and DACs don't have this requirement because their output is already at a suitable level. 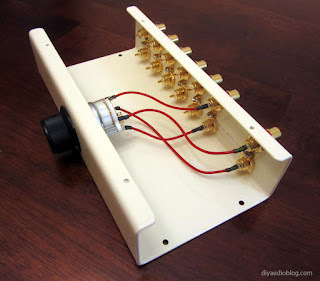 So, a very small gauge wire runs from the cartridge through the tone arm and goes to whatever jacks are on the turntable, generally RCAs on more modern decks. 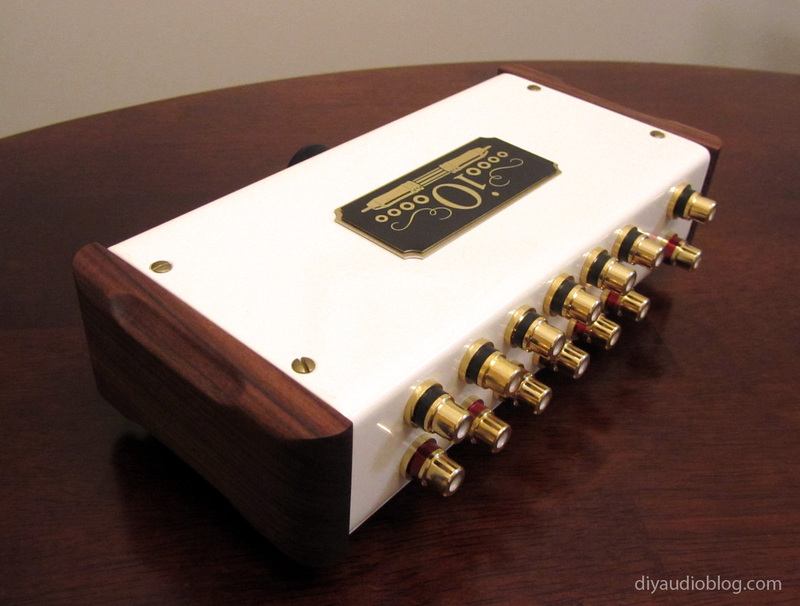 A pair of RCAs are run from these jacks to the phono pre-amp, which amplifies the signal and passes it on to the main pre-amp or integrated amp in the users system. 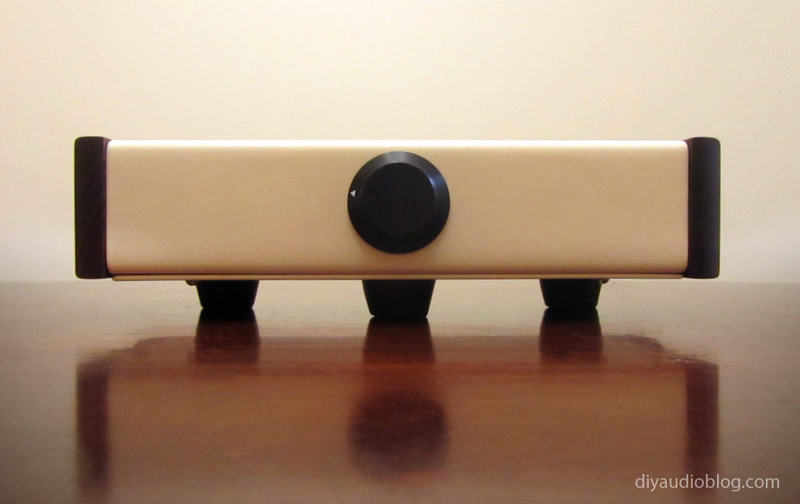 Occasionally, the pre-amp or integrated amp will have a built in phono input, but many enthusiasts prefer a separate unit as the quality can be better. To complicate matters further, many phono pre-amps only amplify the signal of a moving magnet (MM) cartridge. There are also moving coil (MC) cartridges that have an even lower signal that the phono pre-amp simply does not have enough gain to play at a proper listening level. In order to remedy this, one can use an MC step up transformer. An MC step up transformer is completely passive, no electricity is needed to run it. 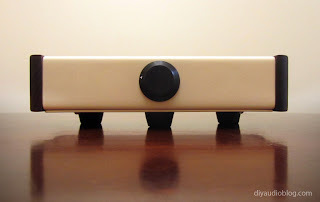 The signal runs from the turntable to the MC step up transformer which amplifies the signal a small amount, then the signal runs to the phono preamp, which amplifies it further to the point where it can be run to the main-pre amp or integrated amp, where it is amplified yet again before it makes it's way to the speakers. So the flow would be Record Player > MC Step Up > Phono Pre > Pre / Integrated. 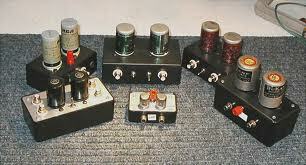 Many DIYers have taken to the fact that vintage microphone transformers can be used as an MC step-up device. As JELabs has stated: "Moving Coil cartridges behave very much like condenser microphones - low impedance and low output - requiring a voltage boost. Step-up transformers are passive devices and as long as they are wired properly, they are virtually noiseless. 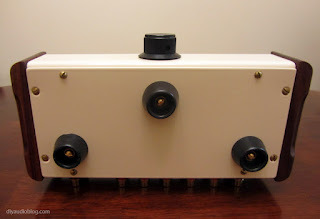 To me a wide bandwidth input transformer is the most elegant way of boosting MC output to MM phono level." There are a variety of units that fit the bill, from the Altec 4722 and 15095, Denon AU320, RCA MI12399A, Tamura TKS83, and Thordarson T-43606-A just to name a few. 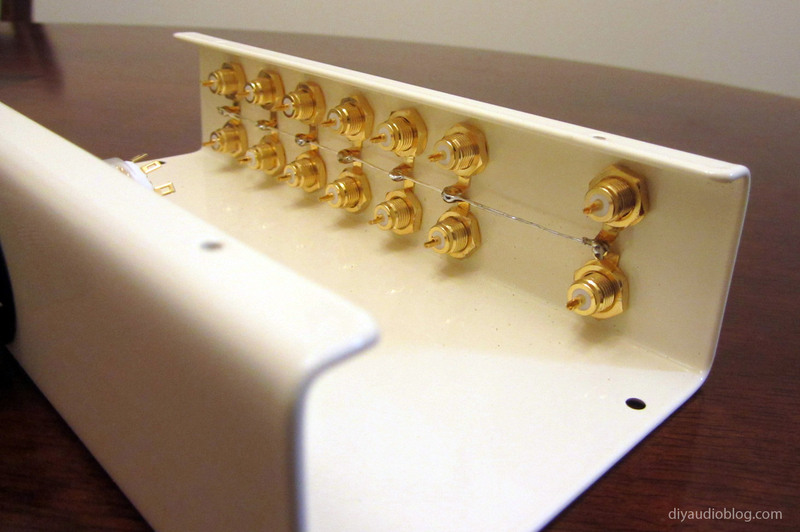 Below you will see a variety of these units in step-up devices made by JELabs. I'll be making use of the Altec Peerless 4722, it's one of the most popular vintage units and commands a price because of that demand, but from the way JELabs described it, it seemed that the units have a bit more of a euphoric warmth than the others, which I always appreciate. 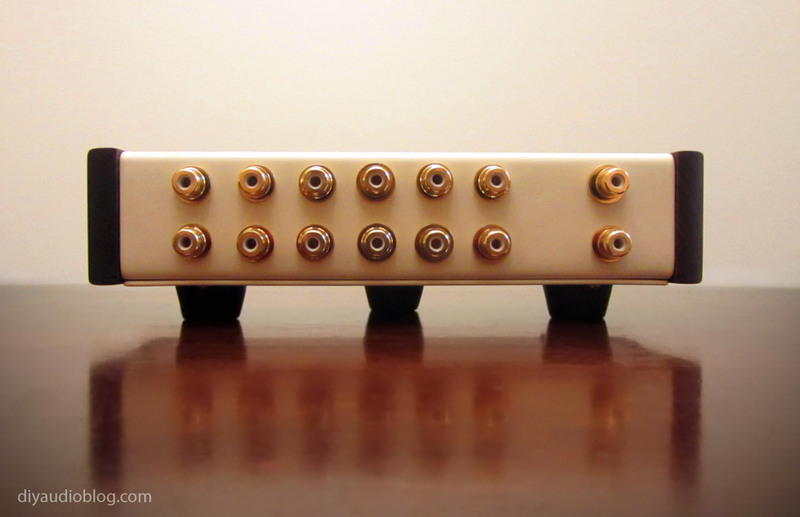 The Altecs are in the shape of a vacuum tube with eight pins at the bottom designed to fit into a vacuum tube socket. 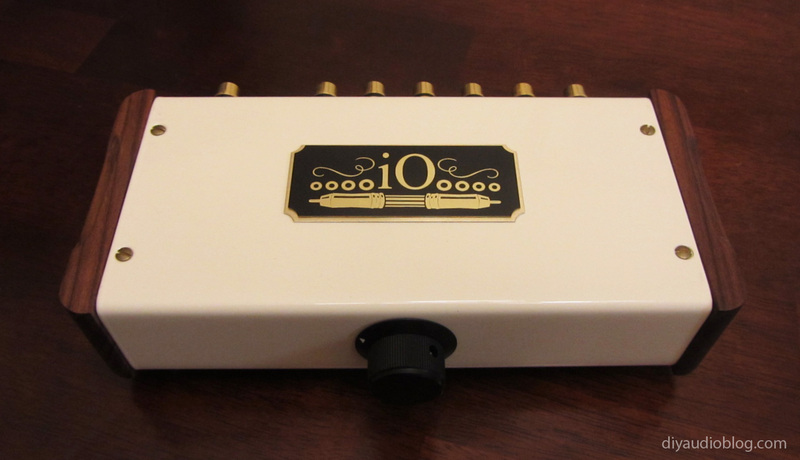 The chassis was custom-made by Keith, eBay seller po1019, and is a very fetching little unit. Holes were drilled for the RCAs, ground posts and switches and punched for the tube sockets that would be holding the Altecs. Cardas RCAs (GRFA) and ground posts (GRND) will be adorning the petite chassis. These were secured using a small socket wrench. Need a pair of low impedance cables for your turntable? Contact Zynsonix Audio today. The above steps detailing the building of a MC step-up transformer are for entertainment purposes only and not to be performed under any circumstances. The owner of this blog and all associated parties can not / will not be held responsible if you attempt the process posted and cause physical harm to yourself, your surroundings or your property. Please keep this in mind. So in any given audio setup there may be multiple amplifiers (e.g. 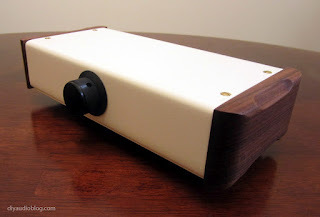 a headphone amp, speaker amp, etc.) or possibly multiple sources (e.g. a record player, CD player, DAC from a computer, etc.). 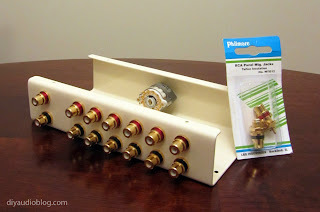 A switch box keeps it simple so one doesn't have to reach in the back of the rack and manually switch interconnects to listen to particular equipment. 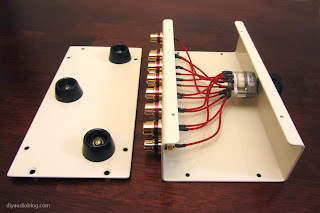 They will commonly have multiple RCA jacks (or in some cases XLR jacks) for both input and output and a switch which is commonly 2 pole (stereo with common ground) or 4 pole (stereo with isolated grounds). 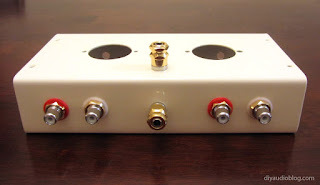 They may be handy, but not all switch boxes are created equally; audio enthusiast know that using a generic one can potentially degrade the audio quality, a situation which just isn't worth the added convenience. All the ingredients need to be of high quality to ensure there is no notable degradation of the signal. This post will be detailing a simple 6-to-1 switch box making use of high quality parts to ensure transparency. Parts include a Swiss-made Elma 04-1264 switch, EAR isolation feet, Philmore Teflon insulated gold plated RCAs, Neotech UP-OCC sold-core copper wire in Teflon and a lovely custom-made chassis from Keith (ebay seller po1019). The first task was to take the chassis and drill holes for the switch, feet, and RCA connectors. It may be easy to use a ruler and mark where each hole is going to be, but drilling the holes perfectly in line *probably* won't happen, even on a drill press. When there are multiple items lined up, the eye can very easily identify any slight aberrations to a straight line. I was able to get them pretty close in this case. The chassis was then powder-coated a nice cream color. The next process is installing the RCAs. 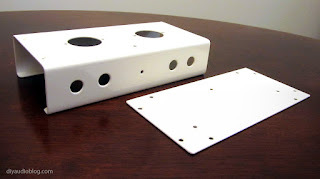 Because the powdercoat insulates the aluminum, the back of the holes were filed so the RCAs would ground to the chassis so the chassis would act as a shield. You might be gawking at the Philmore RCA blister pack and thinking "wow, that looks like dollar store garbage"... Looks can be deceiving; under the homely packaging are a pair of very nice quality gold RCAs with Teflon insulation. I like to use Cardas RCAs in many of my builds, but when one is using seven pair, like in this case, that would be quite costly; that's where the Philmores come into play. Each one is cranked on using a socket wrench and the ground washer bent at 90 degrees. Each of the ground washers is then tweaked together with a pair of pliers and a ground wire is run through them, then soldered in place. This particular wire is silver but any bus wire would be fine. This ensures that there is a common ground between all inputs and outputs. Now comes the fun part; wiring up each RCA to the Elma switch. Seeing which solder lug corresponds to each switch position is relatively straight forward, simply look through the transparent plastic at the location of the gold contacts. Each wire is soldered in place and a small amount of heatshrink is placed over the connection. The Neotech wire was kept nice and short for each connection. On the bottom, EAR isolation feet were fitted with a screw, lock washer and nut. The box could now be assembled and the nicely finished wood panels placed on the sides. Below are a few photos of the finished product. Some nice points about this design are the short signal paths thanks to the small chassis, the Teflon insulated wire and RCAs, the gold contacts on the switch and the point to point wiring with no circuit board for the signal to run through. This box could either be used to allow 6 inputs and 1 output, or 1 input and 6 outputs. 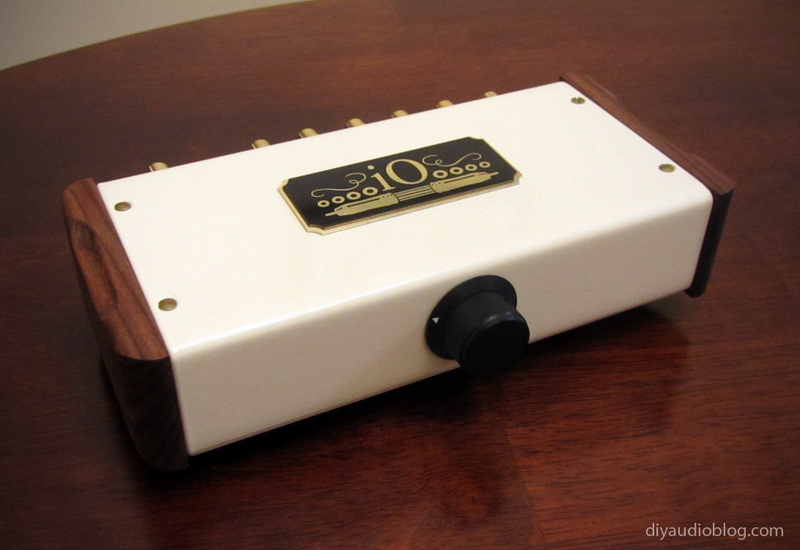 With a larger box and a second switch, there could be both multiple inputs *and* outputs. 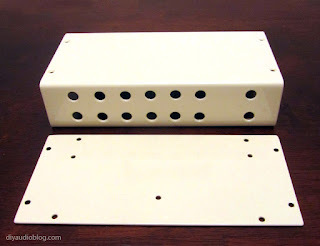 Or there could be two of these boxes daisy-chained, allowing for 6 inputs and 6 outputs. Tons of options! Update: I created a nice little logo "iO" standing for input output and had it custom engraved on a brass plate for the top panel. Looks rather sharp I think :) Some additional photographs with the plate are below. 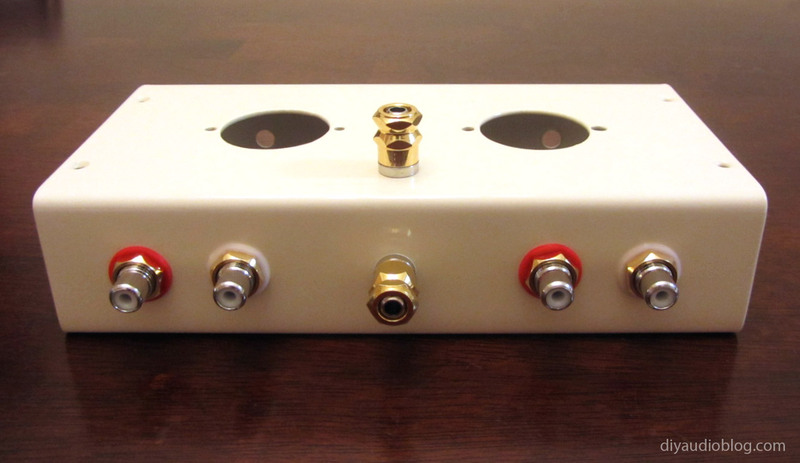 Need a great sounding passive audio switchbox to tie your system together? Please contact Zynsonix Audio for details. The above steps detailing the building of a switch box are for entertainment purposes only and not to be performed under any circumstances. The owner of this blog and all associated parties can not / will not be held responsible if you attempt the process posted and cause physical harm to yourself, your surroundings or your property. Please keep this in mind.